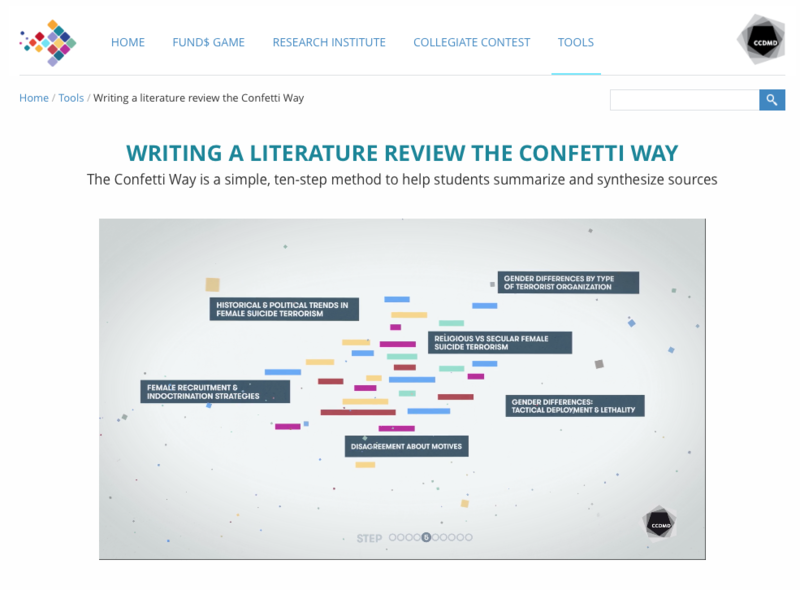 The Research Competition, a set of pedagogically innovative role-play scenarios that is available online free of charge, aims at supporting teachers and students with the production of research work for the Social Science Research Methods course. 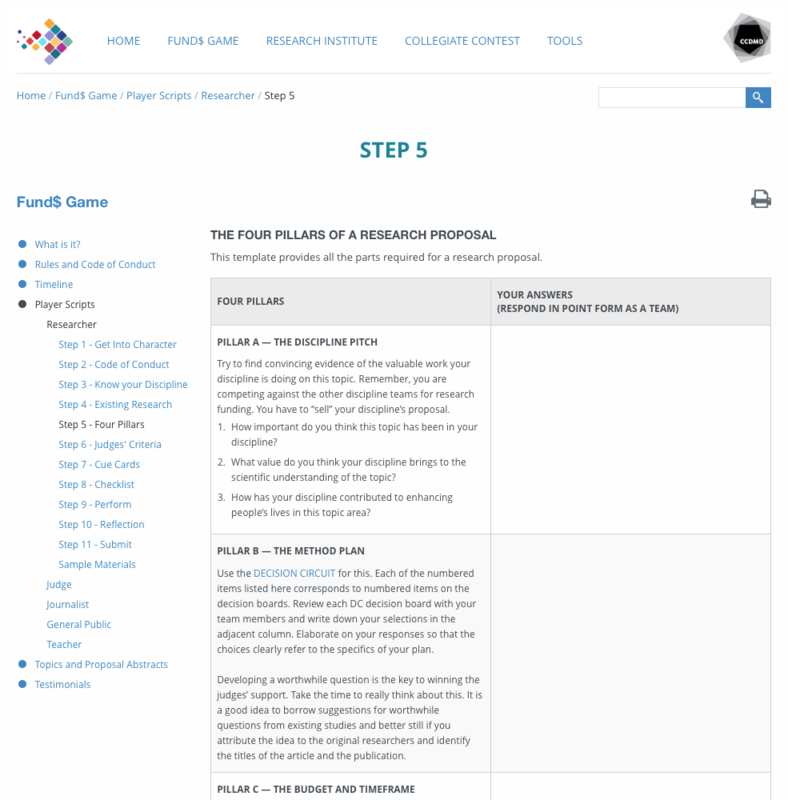 Simulating the process of funds allocation for social science research in a manner similar to the yearly competitions held by funding councils, such as Fonds de Recherche du Québec - Société et Culture (FRQSC) or Social Sciences and Humanities Research Council (SSHRC), the resource provides players’ scripts, detailed step-by-step guides as well as video demonstrations of structured ways to write a literature review and plan a study. 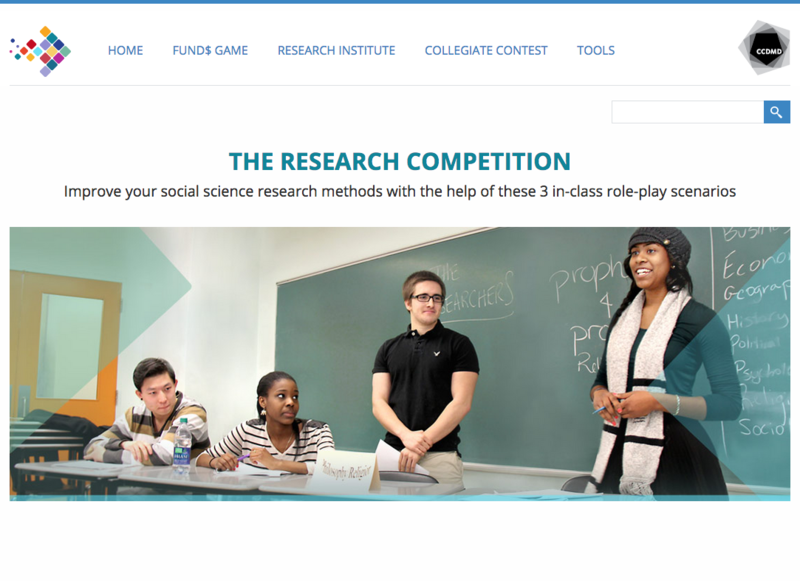 The Research Competition will help students launch research projects in any number of disciplines or design modalities. 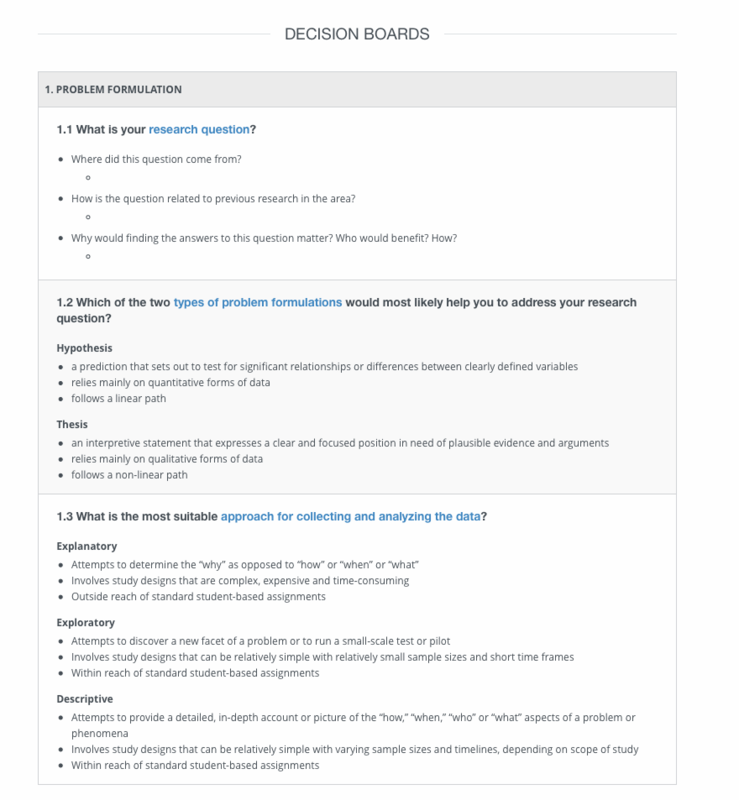 The spotlight is on supporting the production of empirical research proposals and reports, which are key assignments in research methods courses. 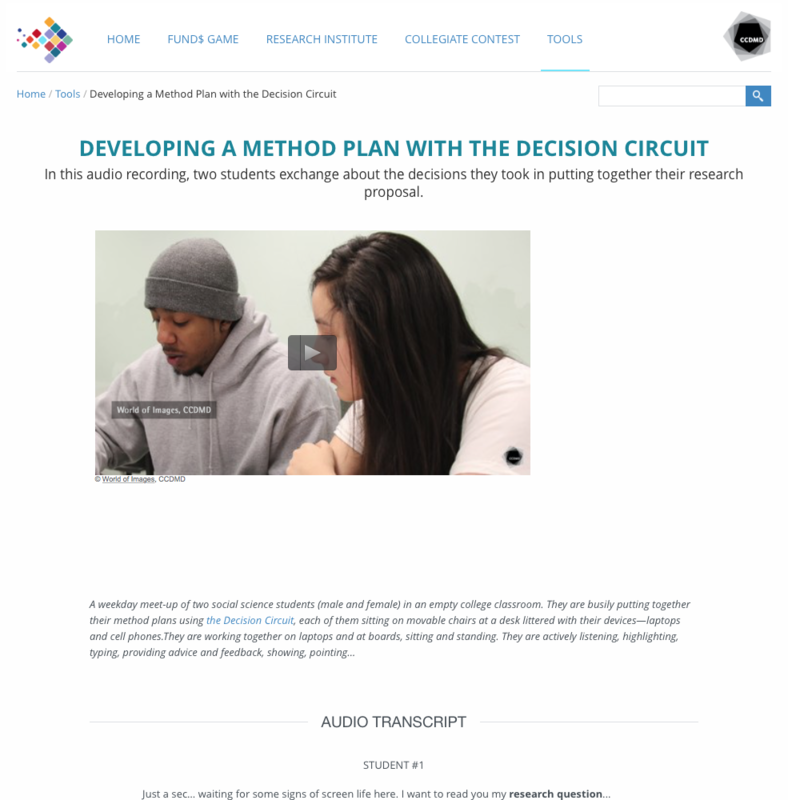 The Research Competition supplements existing research methods course work material (textbook, manual, etc.) 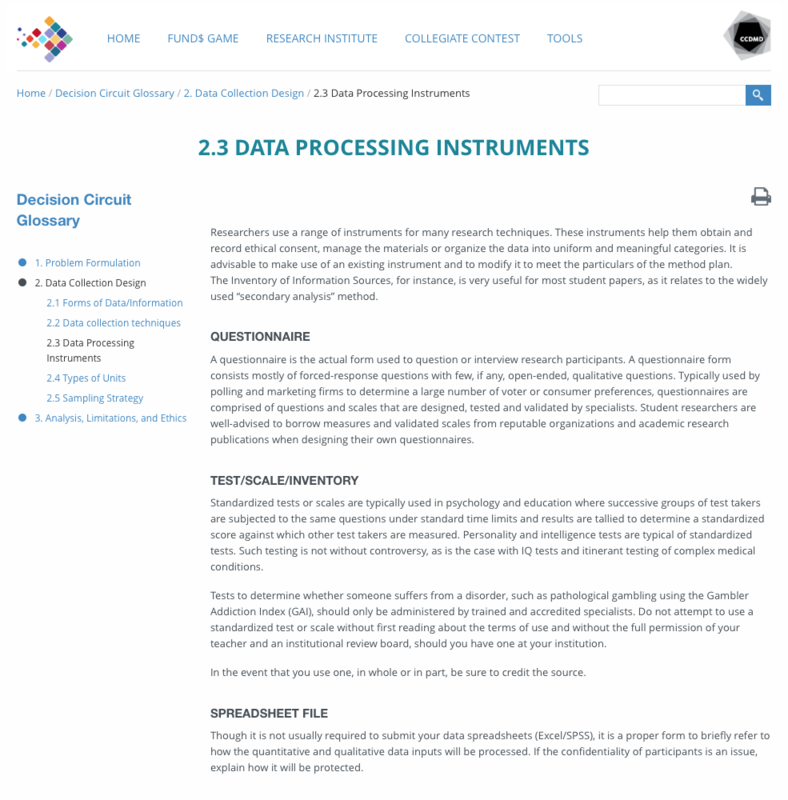 and is not intended as a standalone, comprehensive course package.